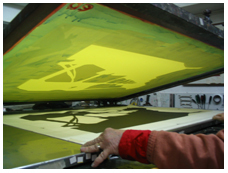 Haifa Art Printers offers classes and workshops in various levels to learn the art of silk screen printing. Courses are designed for beginners or experienced amateurs. We can also custom-make a course for you! “A taste of our art”: A three hours visit for private guests or groups, includes hands-on experience. Acquire new skills: custom made programmes for individuals or groups: learn to know the materials and the tools, find the key to a well prepared screen, hands on experience of the various stages of the process. Portfolio for students who major in Arts. 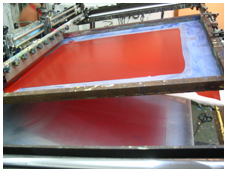 The sky is the limit for those who study the art of silk screen printing.